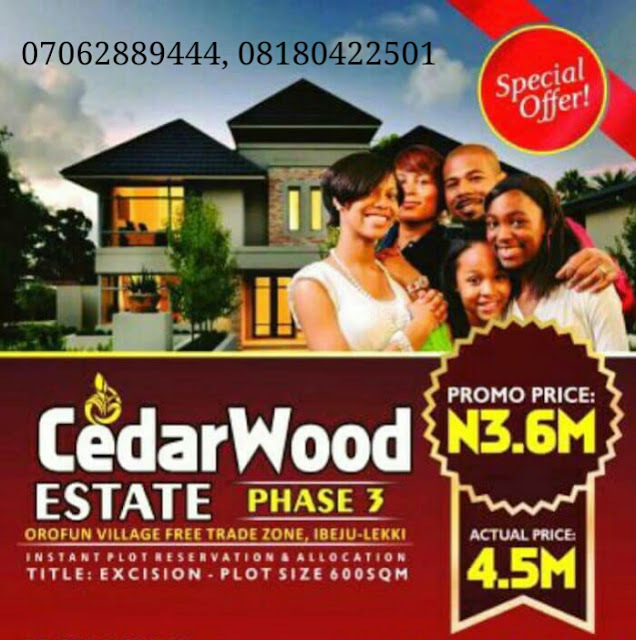 DEAL DESCRIPTION: CedarWood Estate Phase 3 was conceived out of the urgent need to provide a suitable, conducive and affordable site for home seekers and investors alike. 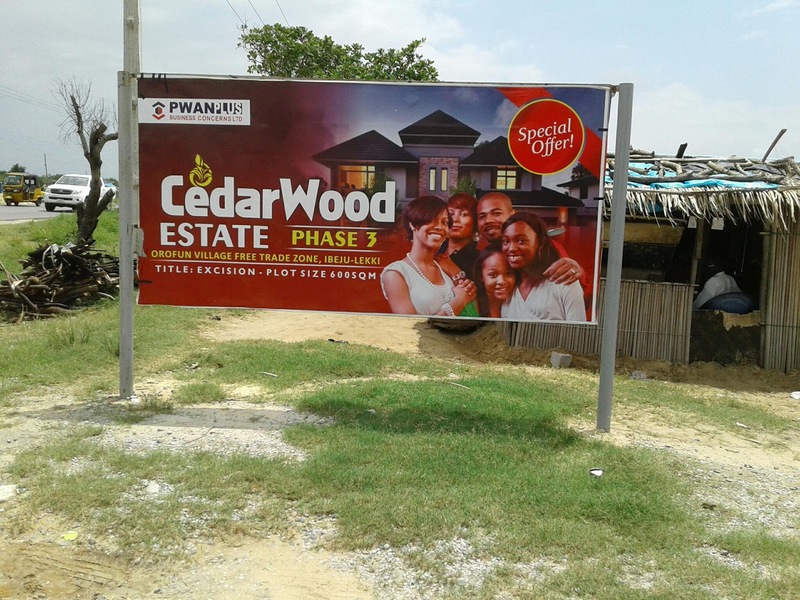 The estate is a neighbour to Dangote estate. The estate is a fast developing axis, close to LEKKI FREE TRADE ZONE, AMEN ESTATE, ELEKO BEACH, GENERAL HOSPITAL amongst others. 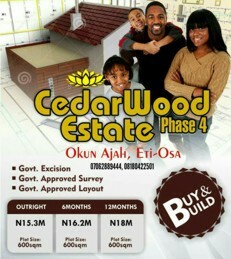 Please let us know if you have more questions and when you'll like to come for free inspection. For Enquiries on how to purchase, Call/Whatsapp: +2347062889444, +2348180422501.